Well this is odd. I published the YES I CAN post about three times now and not only does it not seem to stay up, only half of it is in my drafts. So hopefully it is there now and here is the rest. 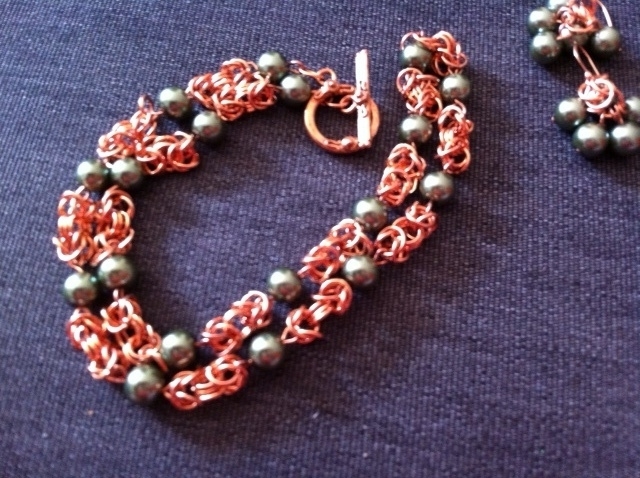 I revisited my chain maille habit and created two sets, a byzantine in copper with dark green glass pearls as well as some 12-2 in silver and black nickel with some neat pearl like rectangular accents. 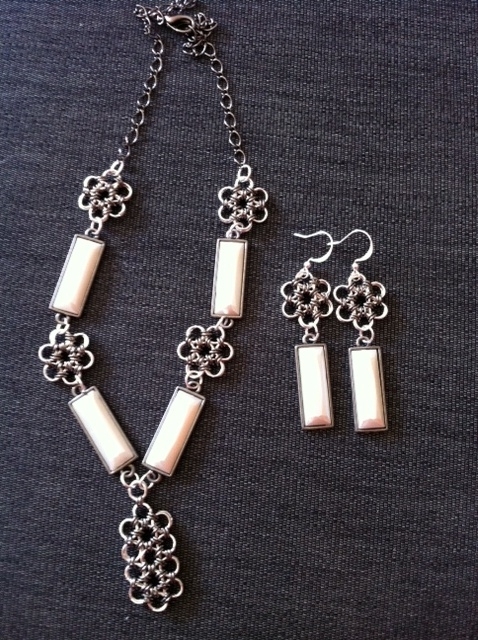 These I made on Sunday when my friend Meagan came over to bead for the morning. 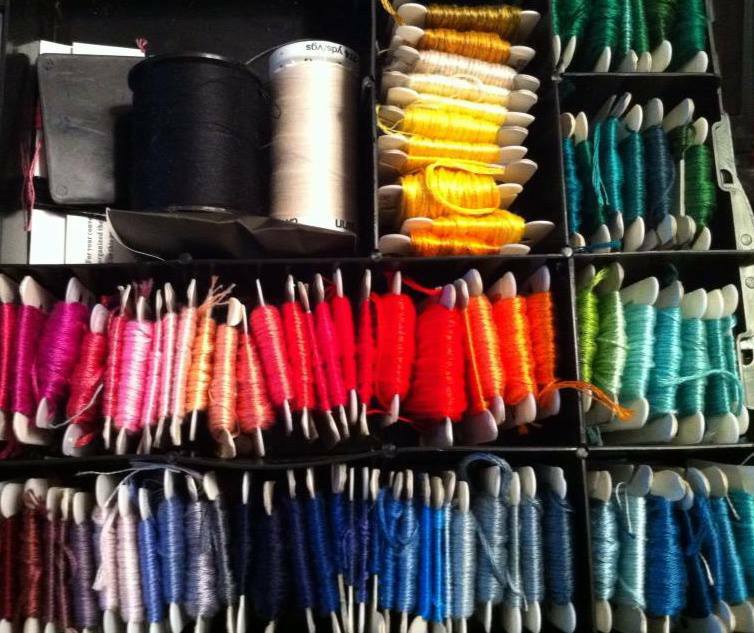 My Saturday project was to sort my embroidery floss. Crochet that is, and cross stitch apparently. As I mentioned before, on my shopping spree at Michaels, I had picked up a book on how to crochet as well as a beginners cross stitch kit. 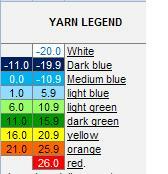 We are in June now and so far the scarf will be mostly blue. 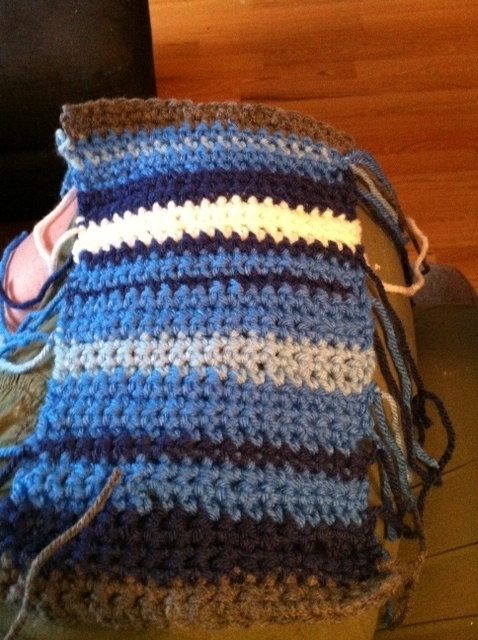 I was quite pleased to discover that I can actually crochet, I have also made a couple of cotton wash cloths as well and have plans for a baby blanket, (because they are smaller and therefore easier). 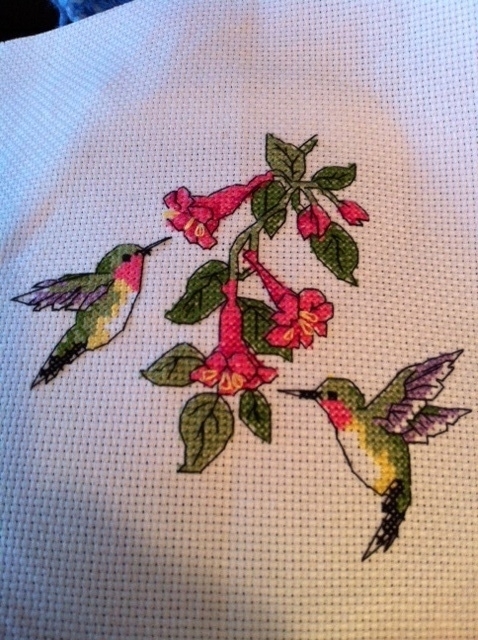 So I also finished my first cross stitch and I have to say I really enjoyed it, it came out well and was an enjoyable past time, so I have definite plans to do more! So that is what I have been up to lately. My friend Meagan popped by today for cookies, gossip and beading. I did chain maille for the first time in ages!